This book tells the story of how a regional Chinese theatrical form, Shanghai Yue Opera, evolved from the all-male ’beggar’s song’ of the early twentieth century to become the largest all-female opera form in the nation, only to face increasing pressure to survive under Chinese political and economic reforms in the new millennium. Previous publications have focused mainly on the historical development of Chinese theatre, with emphasis placed on Beijing opera. This is the first book to take an interdisciplinary approach to the story of the Shanghai Yue Opera, bringing history, arts management, central and regional government policy, urbanisation, gender, media, and theatre artistic development in one. 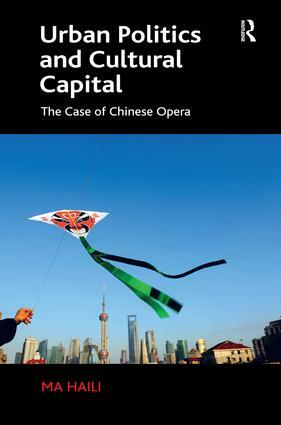 Through the story of the Shanghai Yue Opera House market reform this book facilitates an understanding of the complex Chinese political economic situation in post-socialist China. This book suggests that as state art institutions are key organs of the Communist party gaining legitimacy, the vigorous evolution and struggle of the Shanghai Yue Opera house in fact directly mirrors the Communist Party internal turmoil in the new millennium to gain its own legitimacy and survival. Ma Haili was a member of the Shanghai Luwan Yue Opera Company and is now Senior Lecturer in Chinese Studies at the University of Chester, UK.